Fly-On-The-Wall media presents an advance look at a certain European Cardinal’s upcoming talk at the Synod on the Family! I realize that we are given only three minutes to address the synod. However, if the winners of the People’s Choice Awards can ignore their time limits, surely a Prince of the Church can do what he wants (check my track record; I have). Besides, I don’t intend to follow rules that aren’t pastorally sensitive to my desires, and you guys can’t exactly cut to a commercial to get me off stage. If I haven’t been fired by now with all of the modernity-inspired heresies I’ve promoted, short of murdering the Pope’s sister I guess I am pretty much untouchable. Now to business. We need to promote a new theology of love. Even forgetting about your obsessions with man-woman relationships, that crazy old idea of love being tied to self-sacrifice and the cross is, frankly, a pretty lousy marketing approach. Have you actually tried to teach that to anyone recently? I haven’t, but it’s gotta be really tough. We need to get with the times, brothers. The world is way ahead of us when it comes to love. Let me simply quote from modernities greatest two theologians. “Do you need anybody? I need somebody to love. Could it be anybody? I want somebody to love.” What could be more clear? So frankly, you remaining Cro-Magnon Cardinals and Prehistoric Prelates need to stop worrying about divorced and civilly remarried Catholics and homosexual marriage. Please, that’s like wanting to put the Kaiser back on the ballot! Speaking for my country, we aren’t going to increase our government tax haul that way! No, I’m talking about making the Church not only relevant again, but bigger than Jesus! The next wave of government-mandated marriages and families is coming. Not only can’t we stop it, we shouldn’t want to, not when we can get in on the IPO as it were. You may think I am referring only to plural marriage, like that Sister Wives show I love on TLC. But no, there is so much more love to be found! You get my point. We need to think strategically. The Church can become the brand for modern love, the way that Kleenex is for tissue and Roto-Rooter is for unclogging sewers. If my memory isn’t playing tricks, I even seem to recall hearing somewhere that “God is love,” so although that is pretty hokey we may have some precedent for trademarking it. 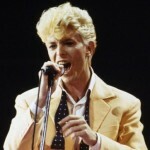 Maybe we can pay David Bowie to use that Modern Love song. Plus I love the lyrics – “God and Man, no confessions, God and Man, no religion, God and Man, don’t believe in Modern Love.” Speaking the language of our modern friends, Peace, Out.